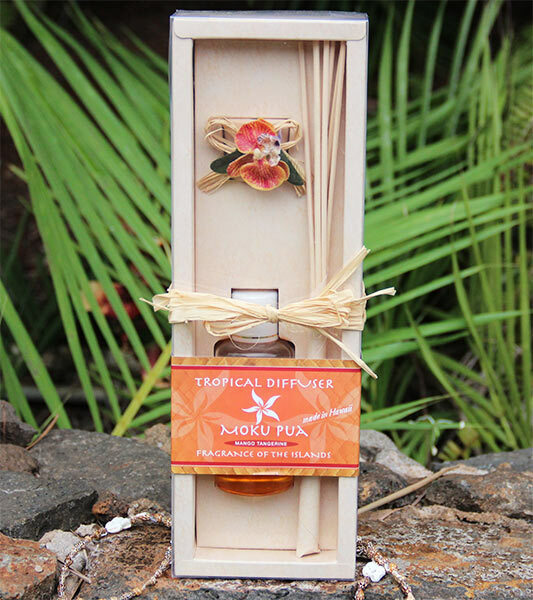 Escape to the Islands with Moku Pua’s Room Diffusers. Using pure Essential and Fragrance Oils, each Diffuser is created without the use of alcohol. Eight twelve inch reeds expel exotic fragrances to perfume your room. Sit back and relax as your home is transformed into a tropical paradise. Each Diffuser is decorated with raffia and a flower, conveniently packaged in a natural colored box. 4 oz.